The Crossing was the first pureTRAIL ultra. Originally 34 miles. We’ve increased the distance to 36.5 miles for the 2019 event, with a new finish line and Event Centre at the Ivybridge Rugby Club. Camping facilities will be available on the Friday and Saturday night at the rugby club, for a nominal fee of £10 per pitch per night (to be booked at time of entry). Shower and changing facilities will be available on-site. Bar will be open Friday evening and from Midday until midnight on Saturday 24th. Food will also be available to purchase post-Race. 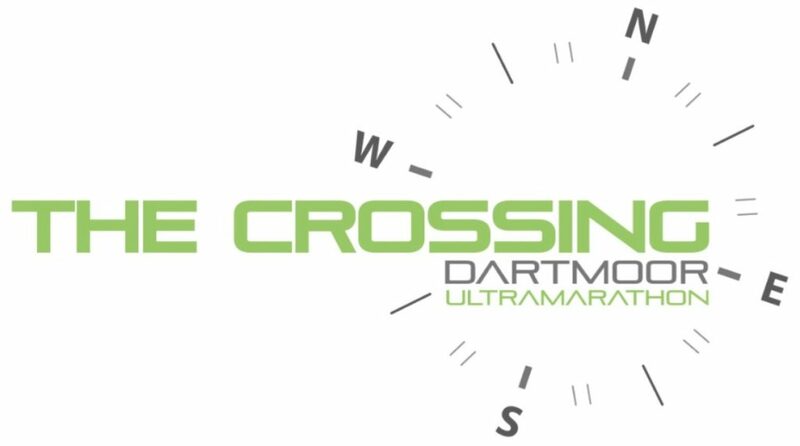 The Crossing is an aspirational baby ultra. It’s a tip-toe into ultra-distance running. But it’s far from easy..
A fully marked course, two Aid Stations with food and refreshments, plus two drinks and refuelling stops. Experience the wilderness of the High Moor, the beauty of the periphery. Visiting the 4 moorland villages of Belstone (start), Postbridge, Princetown, and Ivybridge (finish) and includes just 900 metres of ascent. Start time 09:00. Time limit 10 hours. Bespoke medals. Bespoke t-shirt can be purchased during the application process. Registration is at Ivybridge Rugby Club (the finish). As this is a linear route, a bus service is provided at an additional cost of £10 and can be purchased through the SiEntries system. 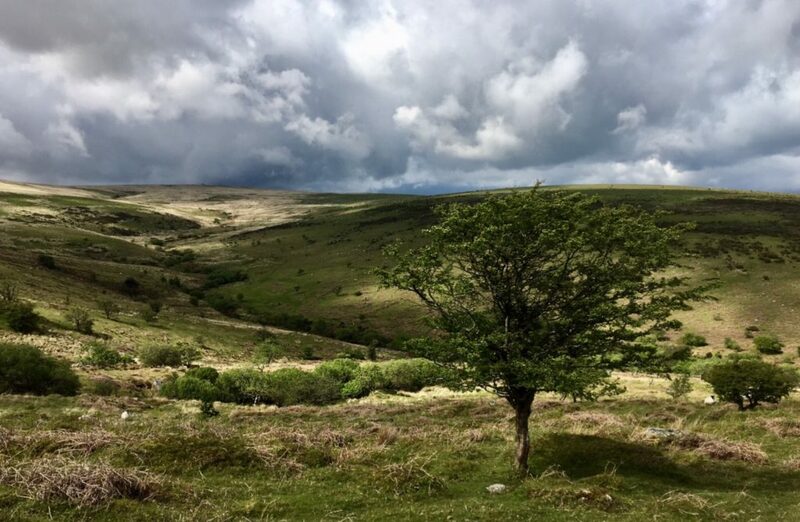 Starting from Princetown in the heart of the Moor, the route takes in the last 15.5 miles of THE CROSSING, with big wide open spaces, and traverses a remote moorland wilderness along the Abbot’s Way. Can you ‘escape’ from the Moor in the time allowed (4.5 hours)? It’s a downhill route with a few surprisingly technical uphills. The route crosses the head of the Erme Valley and traverses the Erme canyons, with some interesting moorland vistas along the Abbots Way before the long descent into Ivybridge. A real taste of Dartmoor trail running. A fully marked and marshalled course with 2 drinks and refuelling stops. Bespoke medal to all finishers. Bespoke t-shirts can be purchased in the application process. Registration is at Ivybridge rugby club (the finish). As this is a linear route, a bus service is provided at an additional cost of £8 and can be purchased through the SiEntries system. 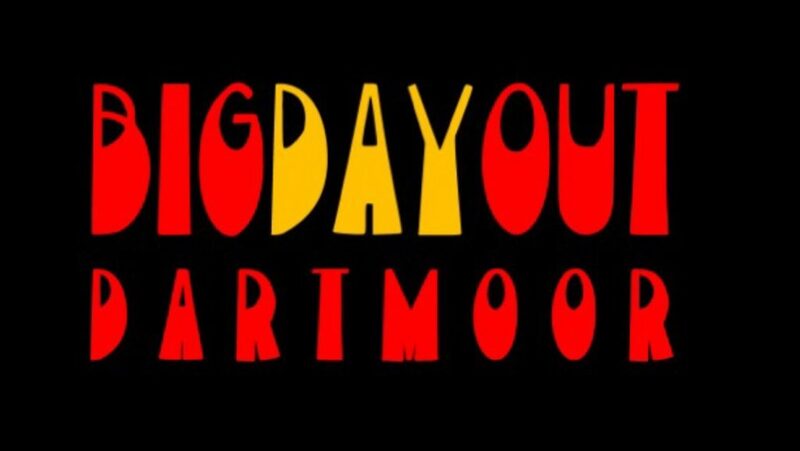 THE BIG DAY OUT IS PROUDLY SPONSORED BY DARTMOOR BREWERIES OF PRINCETOWN. Race Permits provided by the Trail Running Association. Race run under England Athletics rules. No dogs are allowed to run with their owner in the races due to UK Athletics rules and their Public Liability Insurance, which differs to Park Runs. Many thanks for entering our races. It’s back to 2 races again, a long half-marathon (GREAT ESCAPE), and an ultra-marathon (THE CROSSING). 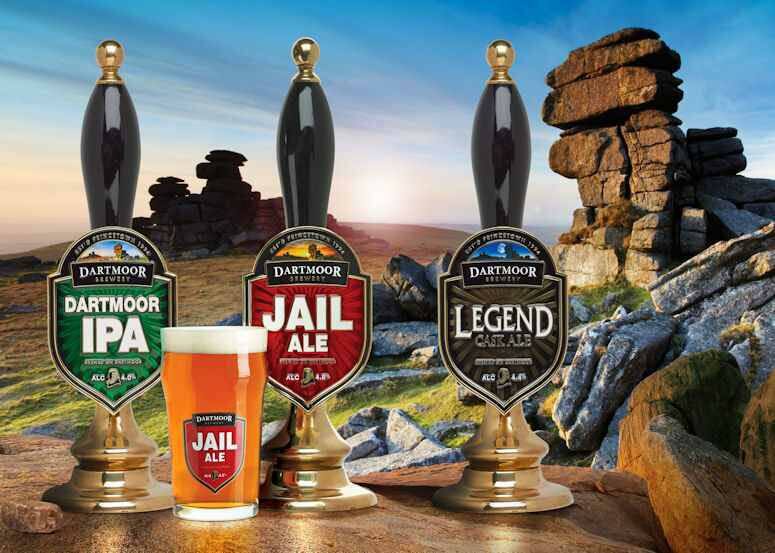 We are proud to be sponsored by Dartmoor Brewery, famous for their Jail Ale and Legend ales. 06:00 to 09:25 – For all runners who have booked the coach to the start of each race. ALTERNATIVELY – any uncollected race numbers will be taken on the coach to the start for those using their own transport. A kit-check will be completed at Registration in Ivybridge or Registration at the start. If something is missing, you will be refused a start. Coaches have been arranged so you can leave your car in Ivybridge, the finish location. Please be considerate and leave plenty of room for emergency service vehicles and our own coaches to pull into the Rugby Club grounds. Timings may alter slightly as they depend on a coach returning from their initial drop off. Toilet facilities are available at both starts locations. It is recommended you water bottles are full before registering and boarding the coach. Anyone wishing to add a coach transfer from Ivybridge to the start can do this via SiEntries. For the The Crossing a small shoebox size numbered Bag can be left with the coach and will be returned to the finish. Please number your bag according to your race number and on production of the race number at the finish, your bag will be returned to you. Bags will be left at the owners risk. NO baggage transfer facility is available for The Great Escape Half Marathon because the coach will not be returning to Ivybridge. Please avoid parking in the Plume of Feathers pub carpark in Princetown as there is some free roadside parking nearer to Dartmoor Prison and there is a fee paying carpark behind the Dartmoor National Park Information centre across the road, towards the prison. For those parking in Belstone, the start of the two Crossing races, please leave space for a large coach to turn around, an area will be coned off. There is a short walk from the hall to the start on the village green. The kit list is for your protection and safety. Should the worst happen on Moorland where it can be miles from the nearest road you will require certain essential items of equipment while awaiting evacuation. Dartmoor’s varied weather conditions means we do not know what we will get. Late summer has the potential for fog, rain and a cold wind. The body can chill quickly and easily under these conditions so it is paramount at you carry the required kit. Since our Lundy Island Race 2018 we have gone cupless. Anyone wanting single amounts of water, squash or coke should bring a separate cup which can be re-used at each checkpoint. We will top-up bottles, soft flasks and backpack bladders. We reserve the right to check runners’ kit during the race or at the finish and disqualify the runner, if appropriate. We have disqualified some runners in past years. Vitally important to shut all gates behind you. 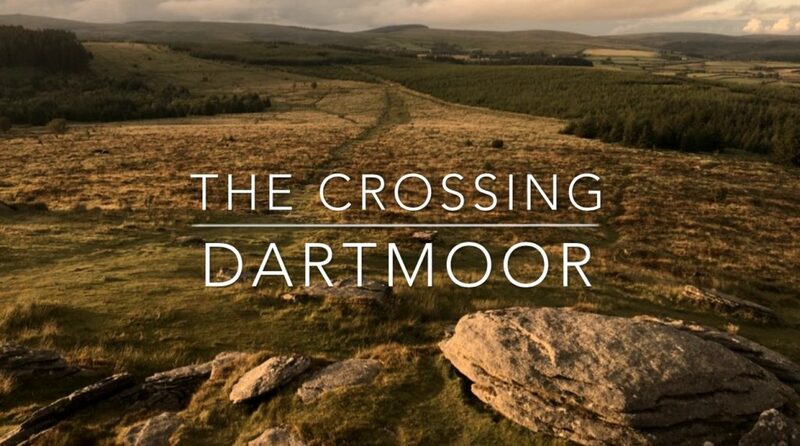 Dartmoor is a living landscape. Cattle and sheep are abundant. DO NOT leave gates open for the next runner. Supporters should keep their dogs under close control at all times. No dogs are allowed to run with their owner in the races due to UK Athletics rules and their Public Liability Insurance, which differs to Park Runs. Qualified paramedics will be along the route at various Aid stations should you need any assistance. An example of a fully stocked Aid Station – choice of drinks such as water, squash, coke, choice of fruits such as bananas and watermelon, peanuts, biscuits, cakes and sweets. You should consider our Aid Stations to be in addition to the food and water you start the race with and not rely solely on the Aid Stations to fuel you to the finish. From Eylesbarrow to Three Barrows there is no food or water provision (9 miles) due to the remote route of the course. Also, on the Crossing route from Belstone to Postbridge there is no Aid Station (first 11 miles). Should anyone miss a cutoffs their Race Number will be removed and will no longer feature in the race. You will be transported to the finish line in due course. Anyone withdrawing from the race MUST report to a marshal who will assist you. All finishers will receive a medal at the finish line. Newly designed T-shirts purchased in advance will be given at the finish line. Some may be available to purchase on the day depending on pre-sales but they are still available to purchase online and will have the logo BIG DAY OUT logo on the front and the 3 races listed on the reverse. These are available as an add-on and can be purchased through the SiEntries entry system, by signing into your account. The first two male and female runners in each race will receive a bespoke trophy and age category winners will be notified by email once Final Results have been established. PLEASE NOTE that at the finish, NO SHOES used for the race should be worn inside the clubhouse or left in a pile outside the entrance door for people to trip over! Thank you. We look forward to chatting with as many runners and supporters as possible at the start, during the race and at the finish.